With the heat of summer going at full blast, there couldn’t possibly be a more delicious way of cooling down than eating a scoop of ice cream. As the temperature continues to get higher, there’s no doubt that many people are cueing up in ice cream shops across the country. To give you a heads up of where to get that delectable scoop of ice cream, take a look at this list of some of Singapore’s buzzworthy ice cream shops. It would be refreshing to have fresh, homemade ice cream for a change. If you want to have a taste of artisan ice cream with original flavors such as Bailey’s & Bourbon, Orange Choc Bitters, and Tira-miss-u, then follow the trail leading to U.d.d.er.s. 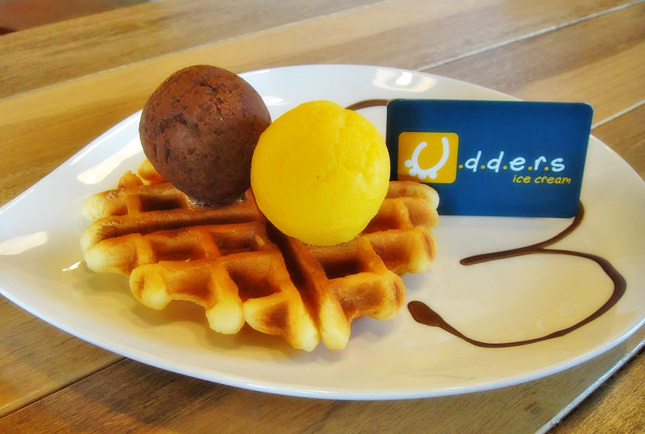 Located at five outlet stores – Upp Thomson, Serangoon Gardens, Siglap, Novena, and Bukit Timah – U.d.d.e.r.s also serves ice cream cakes and their signature udderlicious sundaes. Are you prepared to try a million different flavors of ice cream? Because Ice Cream Chef promises just that! 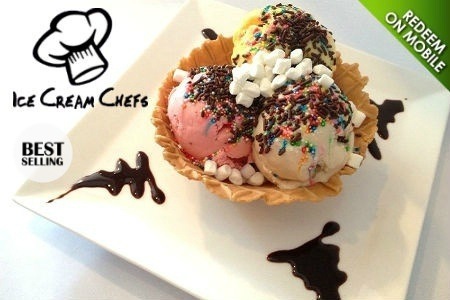 Ice Cream Chef serves homemade customized ice creams that are freshly made every day. Step 1 in customizing your ice cream is selecting your flavor. The next step is choosing your mix-ins and the final step is mashing them to create your very own crunchy ice cream. Their unique flavors include Creme Brulee, Oreos Cheesecake, Honey Green Tea, Milky Moo, and Milo Peng. To see the full range of flavors they have, check their website at www.icecreamchefs.com and while there, you could even try their quick game of mashing your own ice cream. You could also find them at Upper Thomson, East Coast, and SAFRA Mt. Faber. Of course those who are lactose-intolerant or perhaps allergic to dairy shouldn’t be left behind. 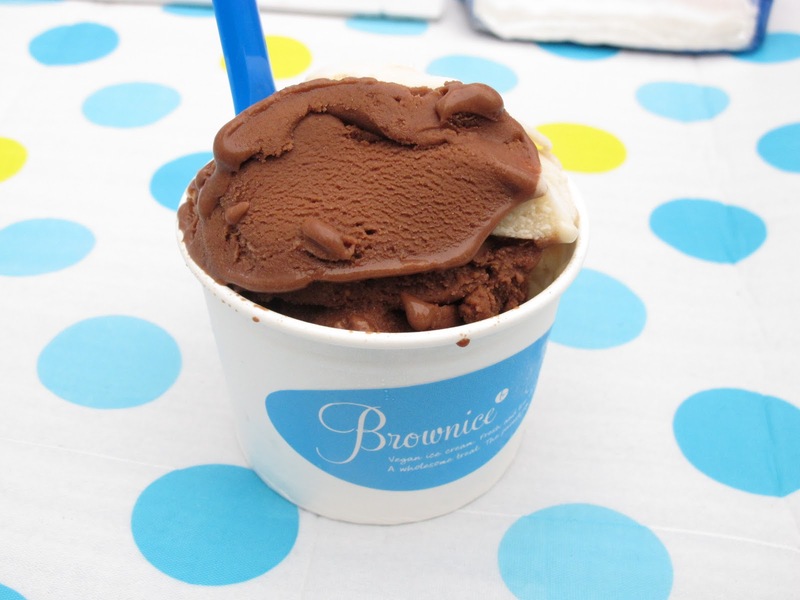 Ice cream doesn’t need to be made from dairy for it to be delicious and Brownice stands to prove that. In place of dairy, Brownice uses organic brown rice milk and their ice creams are all-natural, vegan, and low-fat. You could choose from a variety of flavors including Hazelnut Chocolate, Vanilla Almond, Peanut Butter Caramel, and Chocolate with Caramel Almonds. Other than ice creams, they also serve an intensely chocolatey Mudpie and ice cream cakes which use gluten-free, vegan crusts. Cool down and try their ice cream at Sin Ming Centre, 8 Sin Ming Road, #01-03 Singapore 575628.